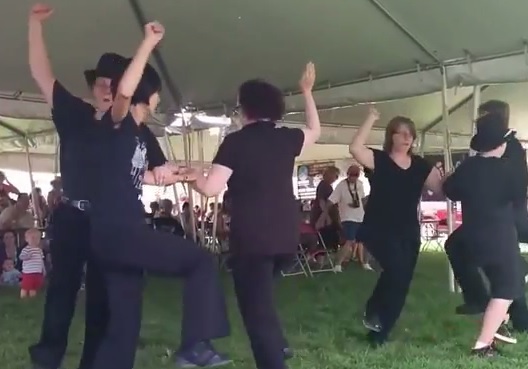 Breathless in Berthoud dancing the original Molly dance Sixteen Tons at the Evergreen Summerfest in Evergreen, Colorado in 2014. 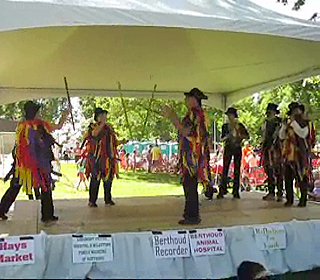 Breathless in Berthoud dancing Boggart's Playground at the Evergreen Summerfest in Evergreen, Colorado in 2014. 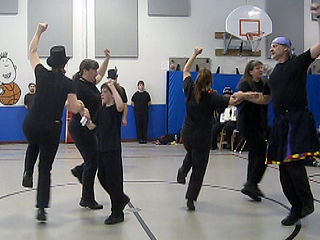 Breathless in Berthoud dancing Take Five at a school in Highlands Ranch, Colorado on February 26, 2010. 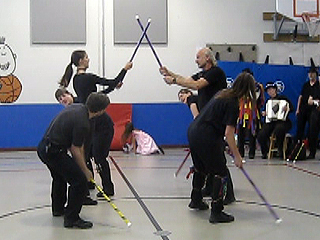 This dance was adapted from a performance by Seven Champions. 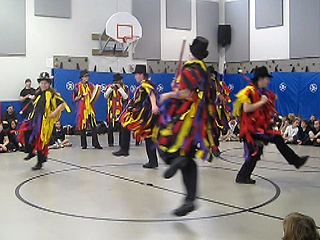 Breathless in Berthoud Border Morris perform Curly Headed Ploughboy at a school in Highlands Ranch, Colorado on February 26, 2010. 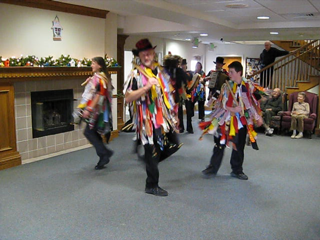 Curly Headed Ploughboy is a Cotswold dance from the region of Fieldtown. 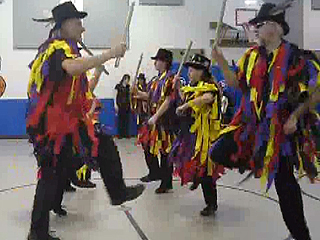 Breathless in Berthoud Border Morris perform South Australia at a school in Highlands Ranch, Colorado on February 26, 2010. 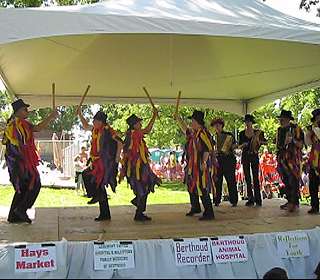 South Australia is a Cotswold dance from the region of Adderbury. 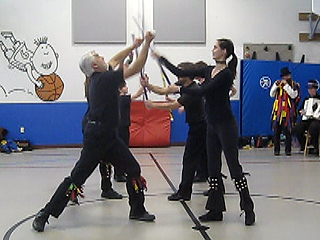 Breathless in Berthoud Border Morris perform Takking Boggarts at a school in Highlands Ranch, Colorado on February 26, 2010. 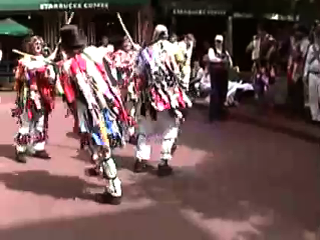 Takking Boggarts was written by Boggart's Breakfast Border Morris. 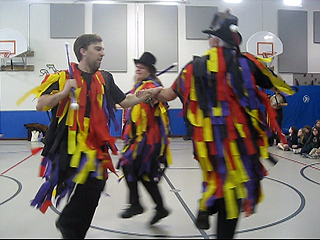 Inertial Reel Molly Dance performed by Breathless in Berthoud Border Morris at a school in Highlands Ranch, Colorado on February 26, 2010. 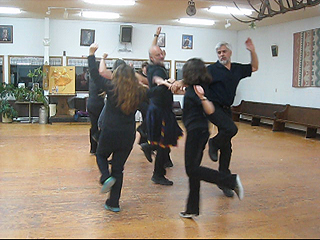 The dance is done to the song Raggle Taggle Gypsies and is sung by Chris Netter. 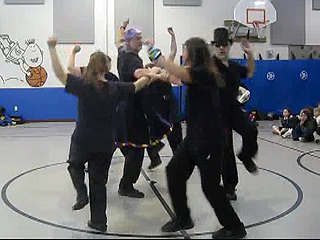 Breathless in Berthoud Border Morris perform Cuckoo's Nest at a school in Highlands Ranch, Colorado on February 26, 2010. 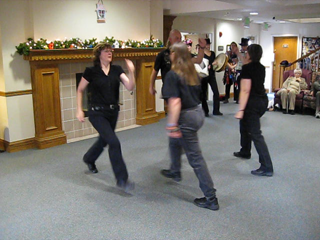 Breathless in Berthoud dancing Take Five in their practice hall in Berthoud, Colorado on January 28, 2010. 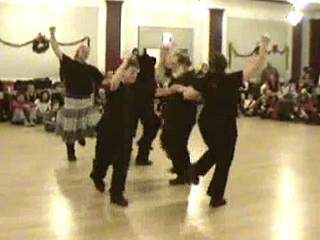 This dance was adapted from a performance by Seven Champions. 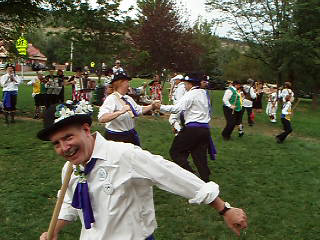 Breathless in Berthoud dancing The Drunken Idiot at Berthoud Day in Berthoud, CO, June 19, 2009. 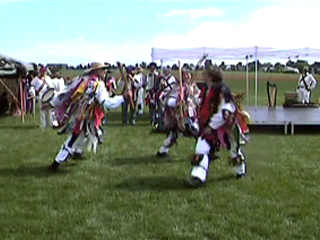 Breathless in Berthoud dancing Tinners Rabbit at Berthoud Day in Berthoud, CO, June 19, 2009. Breathless in Berthoud dancing The Drunken Idiot at Worthington Independent Living, Fort Collins, CO, March 1, 2009. 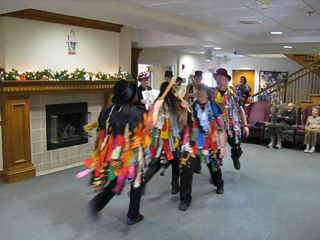 Breathless in Berthoud dancing Belligerent Bluejay at Worthington Independent Living, Fort Collins, CO, March 1, 2009. Breathless in Berthoud dancing Titterstone Clee at Worthington Independent Living, Fort Collins, CO, March 1, 2009. 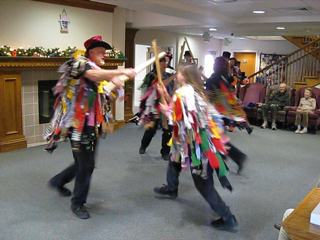 Breathless in Berthoud dancing the Molly dance Fenland Swing at Worthington Independent Living, Fort Collins, CO, March 1, 2009. 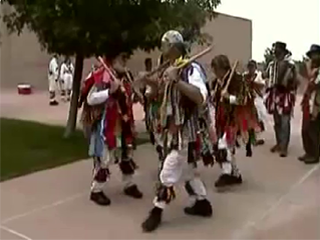 Breathless in Berthoud Border Morris perform the Inertial Reel to the song, Raggle Taggle Gypsies sung by Chris Netter at the 2008 Solabration in Denver, Colorado. 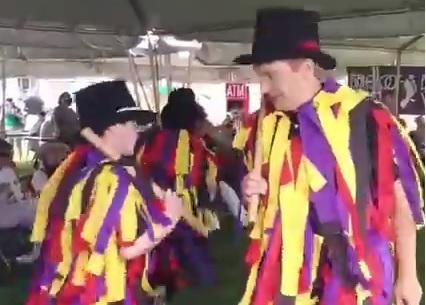 This is a Molly dance. Breathless in Berthoud dancing Belligerent Bluejay on Pearl Street in Boulder, Colorado, during the Maroon Bells 25th Anniversary Ale, September, 2007. Breathless in Berthoud dancing Morning Star at NCAR in Boulder, Colorado, during the Maroon Bells 25th Anniversary Ale, September, 2007. 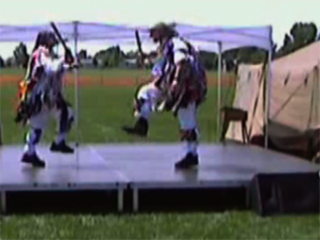 Breathless in Berthoud dancing Tinners Rabbits at the Colorado Medieval Festival in Greeley, Colorado, June 2, 2007. 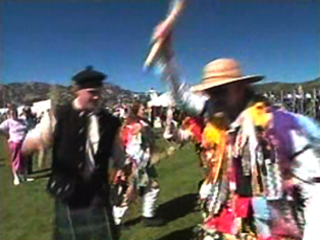 Anne and Robin dancing The Cuckoo’s Nest for two, at the Colorado Medieval Festival in Greeley, Colorado, June 2, 2007. Breathless in Berthoud featured on the Tonight Show. Sept, 2005.